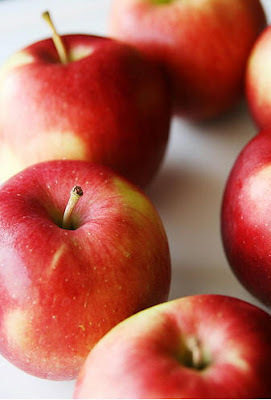 I'm into apple, acturally, I like all the fruit there with beautiful colors, I chose apple as my typle of food since I eat them most often :) I feel so lucky that I natured the habit of having one apple eveyday. Apples are sweet, juicy and delicious. The apple is a popular fruit that has been an important character in many myths and folklore throughout the ages. It is probably best known as the fruit that Eve ate from in the Biblical story of Adam, Eve and the serpent in the Garden of Eden. The apple has been known as the Fruit of the Gods and the Fruit of the Underworld. It has also been known as a symbol of immortality. In some Wiccan traditions the apple is considered to be a symbol of the soul. I like apples and oranges. Apples and oranges are so sweet . Apples and oranges are good to eat.